The commercial world is embracing unmanned aerial vehicles to carry out a wide range of different jobs, and Canada is among the best-placed countries in the world to profit from the boom. Drones have been used as military weapons and hobbyist toys for years, but now unmanned aerial vehicles designed to do a range of everyday jobs are going mainstream and Canada is among the best-placed countries in the world to profit from the commercial boom. Canada’s technology epicentre is Waterloo, Ont., and smart minds - all grads from the University of Waterloo - got together and moved across town to form Aeryon, one of Canada’s better-known drone makers. Its two models are being used by customers to cut the time and cost of doing a variety of tasks. Police, for example, use them to investigate accident scenes in a fraction of the time it normally takes. They're also used by power companies seeking a less expensive way to inspect tall electrical towers without having to send a worker climbing up, which comes with a high degree of danger. Watch David Common’s report about the many ways Canadian industry and agriculture are exploiting drone technology. Tonight on CBC TV’s The National, starting at 9 p.m. Eastern. The AeryonSkyrangerquadrocopter drone can leap skywards and send a live image back to the operator on the ground. Thermal imaging helps them identify any problems in power-line insulators. ​Previously, utility companies hired helicopters that burned $1,500 of fuel an hour. The drone runs on a rechargeable battery. And it flies itself -- the operator simply enters where he wants the drone to go, using a Google Earth-like display on a tablet. The drone figures out instantly how to get there and safely back. Aeryon's Ian McDonald pilots the company's Skyranger quadrocopter drone. 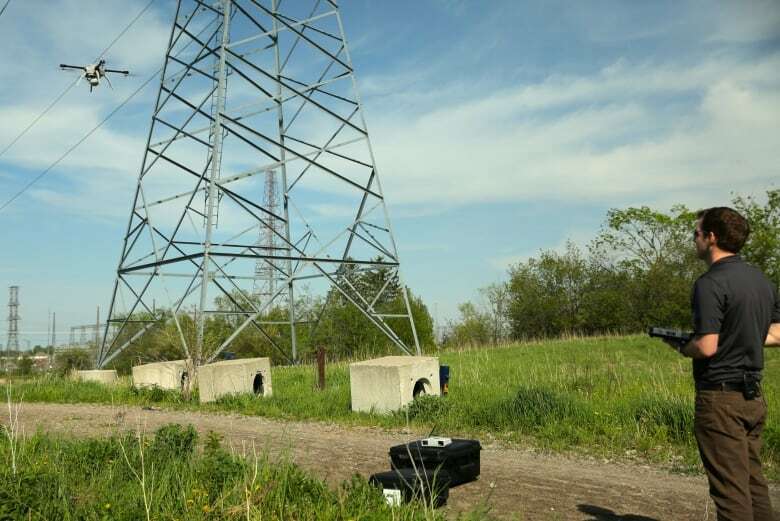 It can send a live image back to the operator on the ground, and thermal imaging helps identify any problems in power-line insulators much faster and more cheaply than using helicopters or sending inspectors to climb electrical towers. (CBC)Drones are now being used to inspect pipelines and railroad tracks, and help icebreakers navigate through heavy ice, including the crucial effort to break through heavy ice to resupply Nome, Alaska in the midst of a brutal winter. They're being used to film movies and commercials, such as the octocopter that chased a Nissan sports car down a running track. They're providing aid agencies with a way to map devastation after natural disasters, notably in the levelled city of Tacloban after a massive typhoon wiped out the Phillippines last year. And they're even helping to walk dogs (seriously). The big prize for manufacturers is a military contract, but so much of that market is dominated by American firms. Their counterparts in Canada focus on non-military uses, and have several advantages. The U.S. companies cannot export their product or technology without government approval. Canadians can. What’s more, the Federal Aviation Administration in the U.S. heavily restricts the use of drones in American airspace. In Canada, it’s much easier — so long as the drone is not out of the operator’s eyesight. 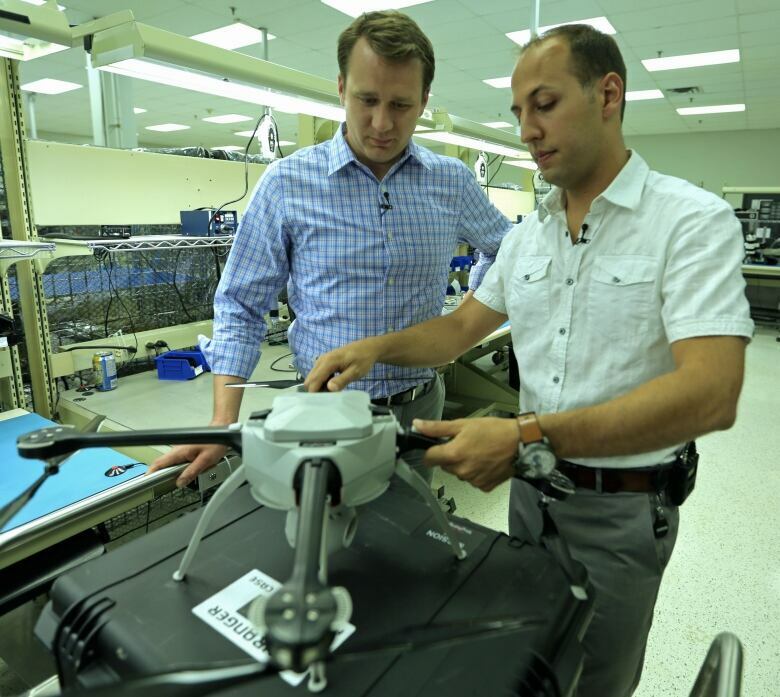 Aeryon Labs president Dave Kroetsch (right) demonstrates the features of the company's Skyranger quadrocopter for CBC's David Common. The drone runs on a rechargeable battery and can fly itself. (CBC)One major market is the business of agriculture. Farmers crave data as much as bankers do. But they haven’t been able to get real-time information easily — they’ve had to rely on records of the past performance of their land, rather than have a perfect measure of the crop as it stands. “We produce a system that allows people to get data, valuable data,” Ernie Earon of Precision Hawk explains. The company’s fixed wing drone flies autonomously, snapping photos over planted fields. When the images are analyzed, light green patches on the picture indicate stress points on the crop. Previously, a farmer would have had to walk the whole crop to find these problem areas -- a task that could take hours. Precision Hawk is working on cameras which can ‘see’ to a plant’s sub-cellular level. That will allow farmers to, for example, detect disease in a plant before it shows any visible sign. And to determine which areas that need more or less fertilizer. 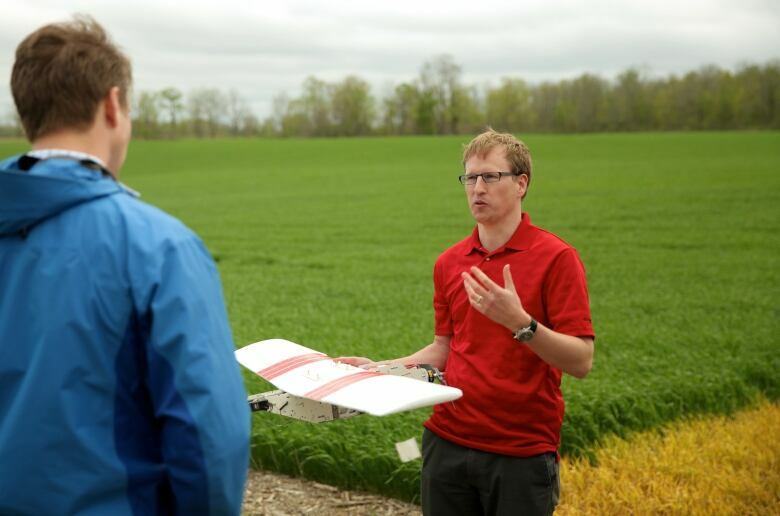 And researchers are working on ways to expand the role of agricultural drones beyond simple data-gathering work. Bee populations are in such dramatic decline, for examle, so Harvard scientists have created tiny winged “Robobee” drones for the biologically vital function of pollinating flowers. The Micro Air Vehicles Project got started five years ago, at first to replicate bee behaviour, but designers now envision using them for high-altitude weather monitoring and traffic management. Cost is a barrier to any company or individual. But advanced commercial-grade drones are now available in the low five figures — depending on the capabilities desired. Within a decade, it’s expected the global demand will exceed $30 billion. Canada’s drone makers stand to benefit from the fast-growing industry, but they’ll face increasing global competition. Sophisticated drone production has has been largely limited to Europe and North America but Asia is making up for lost time — led by China, which is focusing largely on military uses. 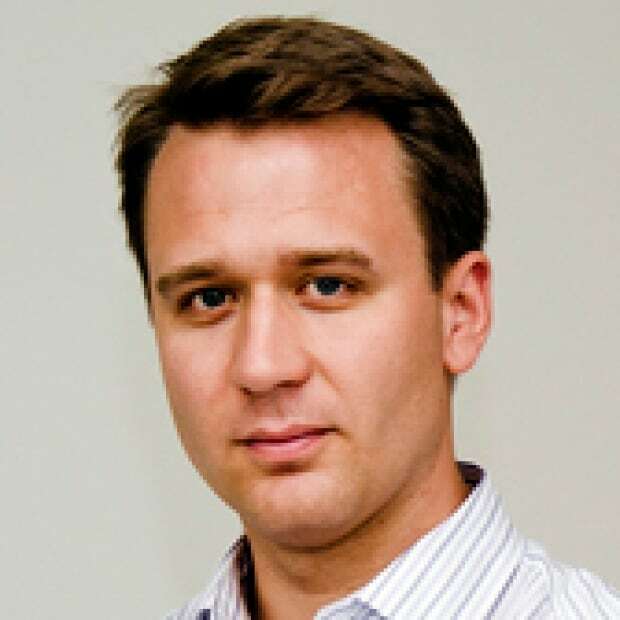 David Common is host of CBC Marketplace.